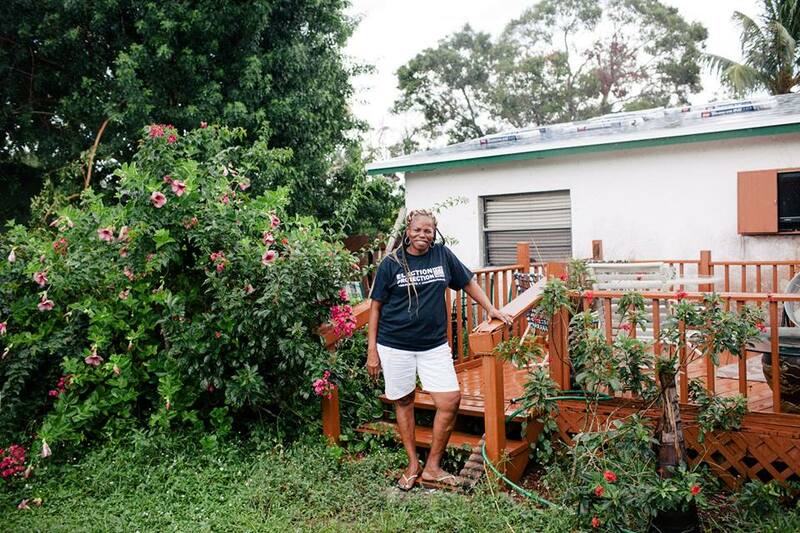 Geraldine Harris-Harreo went to prison for a series of drug-related crimes, but she found salvation and clarity behind bars that opened her eyes to the issues in her community. 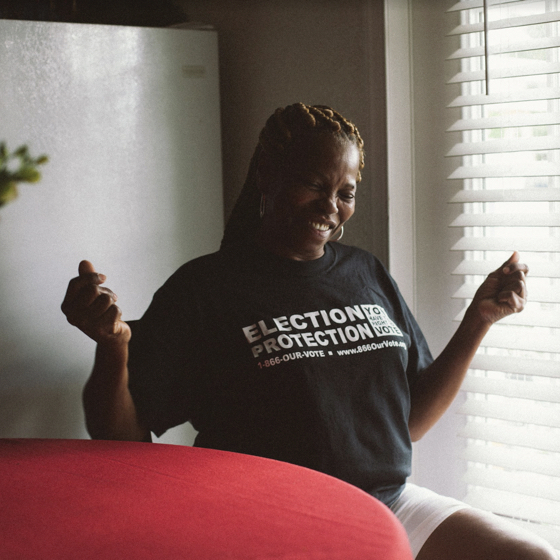 Now she tirelessly rallies voters to get behind Amendment 4, which would give former felons like her the right to vote and make an impact in their communities. You’re a native of Hope Sound on the Atlantic Coast of Florida. What's special about Hope Sound? I love Hope Sound. You don’t find much like this area, where you can just sit on your front porch and enjoy the scenery, be able to say ‘Hello’ to your neighbors. We can get involved in our community and know one another. I like that uniqueness about Hope Sound, because it’s not overwhelming, and it’s not too busy. Take a look around, it’s really comfortable and it’s very safe. What role do you think social class played in how you ended up in prison? I was living in a poverty area, and going to school where there were girls with pretty clothes on. We would wear our clothes, but in a week’s time we ran through our new clothes. You would see another classmate, and they’re still wearing new clothes. And that kind of stuck with me. I ended up getting pregnant, and I wanted to kind of live above, so I began to sell drugs. I did pretty good, girl. Yes, I did. Lots of people don’t really tell the story, but I enjoyed doing what I was doing because I was able to do what I wanted to do. I was able to go to the mall, I was able to go out of town. I set up traffic in-house, and I ran it real good. I mean, I ran it so good the police didn’t know me. So when they first came to bust the house, they said they wanted Sweet Dean, which was my street name. I said, ‘When I see her, I’ll let her know.’ And with that, I got away. Eventually, the police came back, and they finally found out who I was. So I had multiple felonies. I was incarcerated for a year, and prison changed me. I want that opportunity to have a second chance, and to prove myself. I made my mind up in prison. I went to a couple of church services and I said, “That’s it, God. There is going to be change, and there is going to be hope. I need somebody greater than me to work in me.” And that’s when I gave my life to the Lord. And with a judgment with time and process I became a better person. But you still couldn’t vote? I filed for my rights, but I wasn’t able to get it. Eventually I got it, and then I was able to understand the privilege of being a voter, and the power of a voter. Until then, there’s living and being free, and doing what you want to do, but there was no knowledge of that sinking in. You just live in the fast lane, and you just go in your own mode. But life is more than that, and I realized that when my kids came to visit me in prison. That was a hard pill. So I stated to say to myself, “I get to.” I get emotional when about that one. I said, “I’ve got to become a better mother, and whoever I marry, I’m going to be the best wife, and I’m going to be the best Christian,” and those are still my three mottos. It’s written on my heart to do the best that you can. So this is where I’m at. I work in the community. I’m a motivator, inspirator, I’m go-getter. I want to reach out to young people, while they’re young, and while they’re able to understand the power of voting. I want them to understand what they give comes back to them. 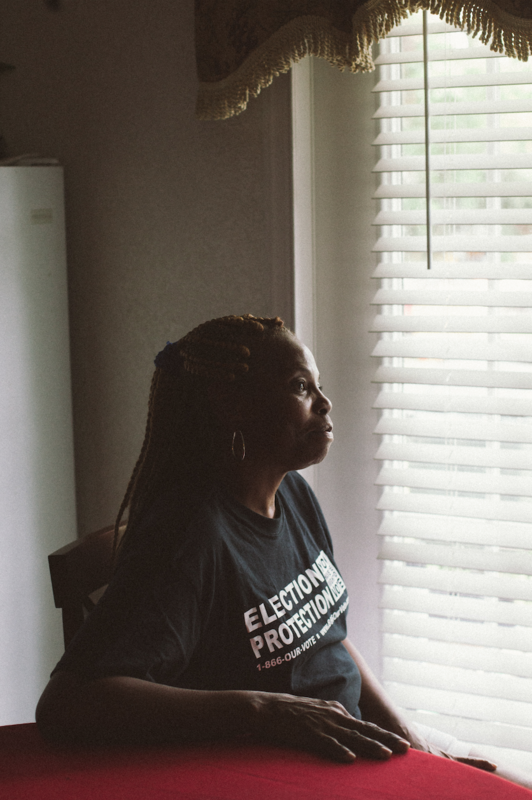 A counterpoint whenever we hear from people about Amendment 4 and giving felons back the right to vote is, "Well, those people made their decisions, and they have to deal with their actions." What would you say to those people? We have. We paid our debt to society. And once we pay our debt to society, that debt is paid in full. So when I come home, I am no longer labeled a criminal or a felon. I want that opportunity to have a second chance to prove myself and that I’m worthy, and I should have been forgiven when I paid my debt. Give me the opportunity to step back and align myself into life, to show myself worthy of having that second chance to grow up, to become a mentor, and to become a leader, a role model, a great mom, a wonderful wife, and a great preacher. Give me that opportunity, too. That’s what I think a second chance is all about. We hear so much about people who have the right to vote, but don’t head down to the ballot box on election day. Knowing what you know now about losing the right to vote, what would you say to those people who aren’t voting? That vote you think that doesn’t count is the vote that puts a light on your street. That vote helps bring in jobs needed in your city. You’ve got a voter registration card, and you’re not taking the opportunity to go and make a difference in your own county? It’s just like having a million dollars and you don’t even know it, you understand? It does you no good. You get your behind up in here and you go vote, brother. Because we’re not making a safe place, nor are we making our lifestyle better for someone, and telling someone to go vote when we are not doing it. For me to be out petitioning, canvassing, lobbying, and you’re not doing it, you either put your boots on or get your pillow. You make a difference. You have the privilege.